It’s Springtime and lots of caravanners will probably be easing their ‘van out of hibernation to give it a clean and polish for the new season. 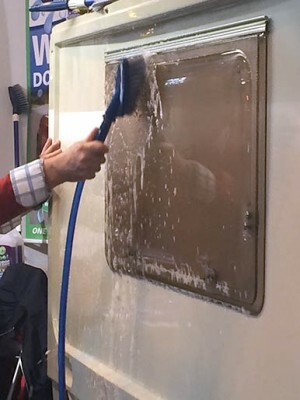 But according to our recent poll, there must be lots of clean caravans out there as many caravanners told us they like to keep their ‘van clean throughout the caravanning season – giving it a good wash at least four times a year. 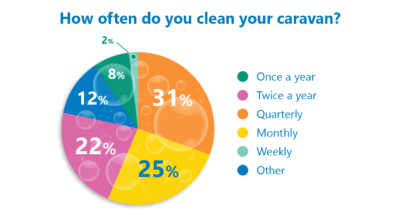 There were nearly 500 votes in our caravan cleaning poll and the results show that nearly a third clean their caravan quarterly. But a quarter of voters said they dig out those ladders, brushes, cloths and shampoo monthly! 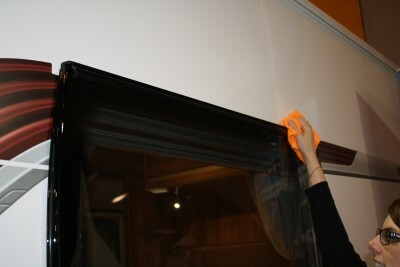 A twice yearly wash was also a popular choice with 22% of the votes but many of you commented and told us that you’ll clean the caravan before and after every trip, and give it a polish or wax at least once or twice a year, proving that many caravanners really do look after their pride and joy all-year round . Sue Wiltshire hates a dirty caravan and will clean hers whenever she notices any little marks and stains. Plus it’s always given a wipe over before she goes away. Tony Thompson and John Allerton clean their caravans when needed but Norman cleans his every time he gets back from a trip and polishes it twice a year. “I also hate a dirty caravan,” added Norman. Pam Blanshard will wash her caravan if it’s been out in particularly bad weather. “Polishing I do at the beginning of the season and just before winter sets in, I may also spray with a silicone spray,” added Pam. Ian will have his caravan thoroughly cleaned inside and out after its annual service in March and again just before they go away – which is about six or seven times a year. Brian will always thoroughly clean the exterior and interior of his caravan before closing up for the winter, treating the outside surfaces to some Autoglym super resin polish. What do you make of the results? Feel free to add your comments in the box below. And don’t forget to check out our updated caravan cleaning guide if you want some handy tips on getting your ‘van gleaming for every trip.